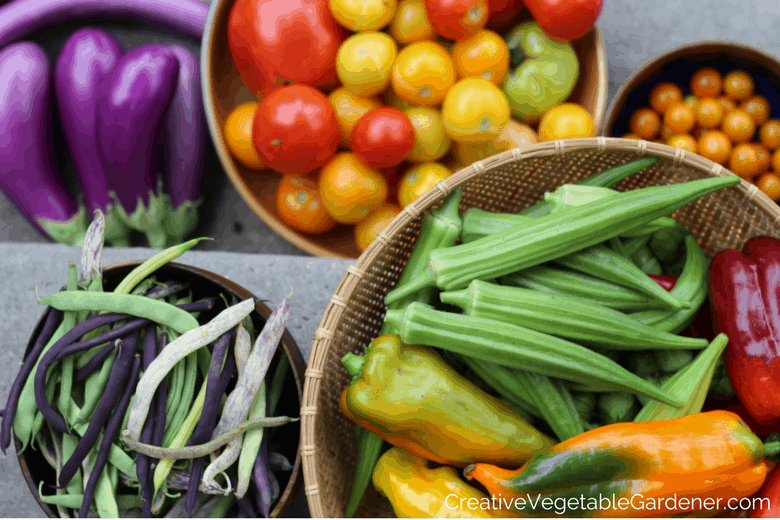 During the harvest season, many of us have fridges bursting with excess produce and not a lot of time to squeeze long sessions of food preserving into our already busy schedules. 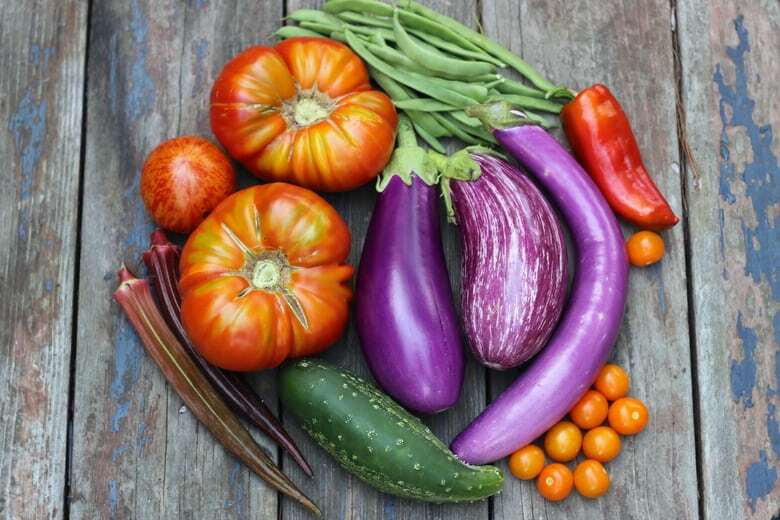 But, preserving food doesn’t have to be difficult, time-consuming, or result in a kitchen that looks like someone had a massive tomato fight in it. 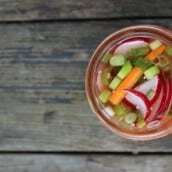 This weekend, instead of letting your extra garden harvest rot in the fridge, try some of these easy preserving ideas. When the dark and cold nights of January arrive, imagine the pleasure and satisfaction you’ll feel when you open your freezer to find gleaming jars of pesto all lined up as little reminders of summer. Did you know there are far easier ways of preserving tomatoes than canning? Freezing tomatoes is my go-to time-saving method every season. 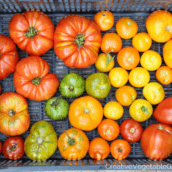 This method cooks some of the water off the fruit which allows you to pack more tomatoes into each container. Step 1: Chop the tomatoes, leaving the skins and seeds. Step 3 (Optional): Add some fresh herbs from your garden for a little extra summer flavor. Step 4: Allow them to cool and then transfer into storage containers and freeze. I use old yogurt containers. In my kitchen, I use the chopped tomatoes to make tomato sauce for pasta and in any recipe that calls for canned tomatoes of any kind. I haven’t bought a tomato product at the grocery store in many years! 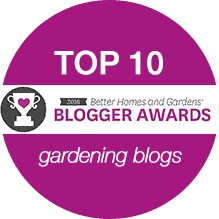 Watch this fun video filmed in my garden and kitchen about this method! If you’re getting a bumper crop of tomatoes and you have absolutely no time to preserve them, you could freeze them whole. It’s a much better option than throwing them in the compost! 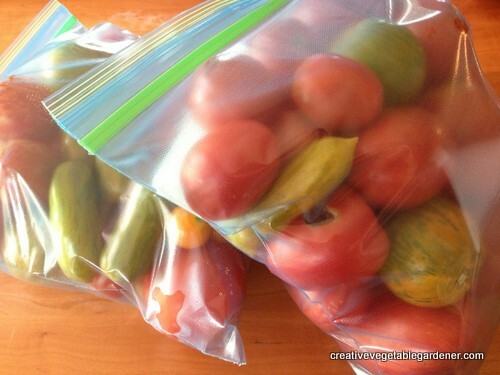 Step 1: Load tomatoes into freezer bags. It’s fine to mix many different kinds of tomatoes in one bag. Step 2: Chuck the bags into your chest freezer. You can always cook these tomatoes down into sauce later. Like in the middle of February! The thing I don’t like about this method is that it takes up a lot of freezer space, so I personally prefer the chopped frozen tomatoes instead. Step 1: Choose your pesto recipe. I prefer the recipe from The Moosewood Cookbook, but I couldn’t find it online. It’s very similar to this one. Step 2: Make your pesto. I find it easiest to use a food processor for pesto making. You could also use a blender. Step 3: Decide how you want to freeze your pesto. I pack mine into glass jam jars, but you could also make iced cubes or little patties. We always keep a jar of pesto in our fridge for use on eggs, sandwiches, pasta and much more. I can’t imagine our kitchen without it! 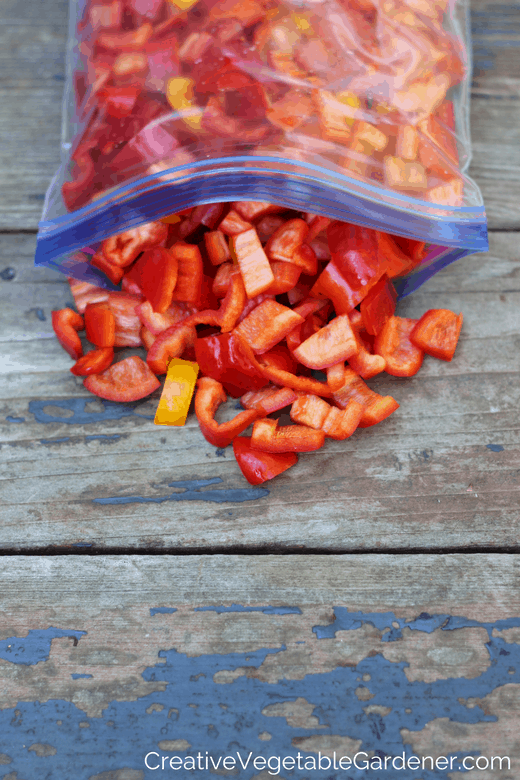 Here’s an exciting food preserving announcement – you can freeze peppers raw! Food preserving really doesn’t get any easier than this. 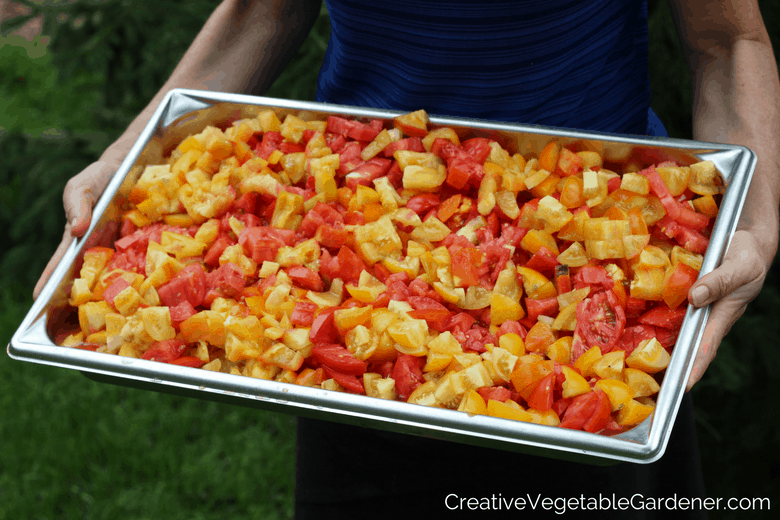 Simply chop them up and pack them into freezer bags, plastic containers, or mason jars. You can even freeze hot peppers in a separate container. 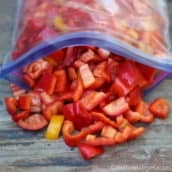 Step 1: Check out my step by step instructions on freezing peppers here. We use the peppers in rice and beans (a staple in our house) and any recipe that calls for cooked peppers. They don’t have the same consistency as fresh peppers, but they’re way cheaper than buying red peppers in the middle of January. Yay for saving money at the grocery store! If you regularly buy bags of frozen corn on your weekly grocery trip than this one’s for you! 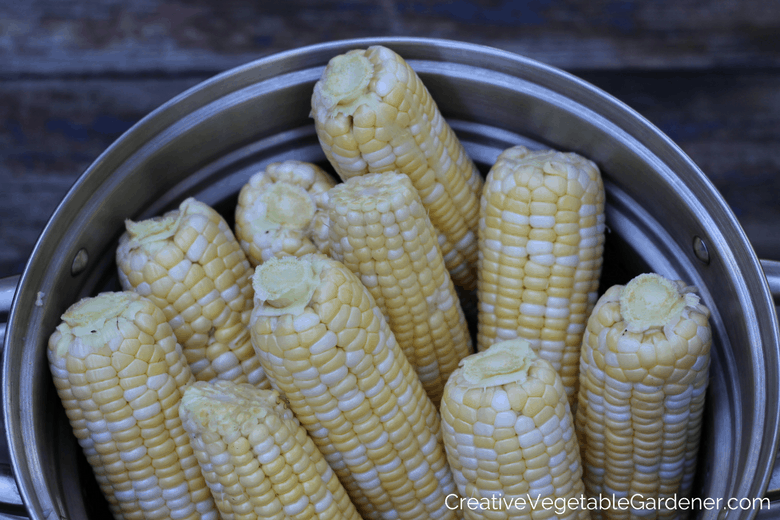 Corn is one of the vegetables that need some preprocessing before freezing. It stores, and tastes, best if you steam it first. Step 1: Shuck the corn and remove the silk. Step 2: Steam or boil the ears until they’re just short of cooked. Keep piercing them with a fork to check their doneness. Step 3: While they’re cooking, fill your sink with cold water and ice. Step 4: When the ears are done, plunge them into the ice water to stop the cooking. Step 5: Once they cool, dry them off and use a knife to scrape the kernels into a bowl. Step 6: Spread the kernels out on a cookie sheet and place them into the freezer. If you don’t take this step they will freeze into a big blob. Step 7: Once they’re frozen, transfer them into freezer bags. Rice and beans are a staple in our house, especially in the cold weather months. We love to mix frozen corn in with black beans, the red peppers from above, onions and garlic from our basement, and a little salsa. This yummy combination finds its way into burritos, quesadillas, and enchiladas to warm our winter weary hearts. If you’ve had a busy late summer and early fall and your freezer is bare, try some of these quick and easy preserving ideas this weekend. 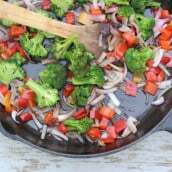 Block out a small chunk of time to turn your extra vegetables into quick preserved foods you can use in delicious meals all winter long. You’ll have lots of food squirreled away in no time! 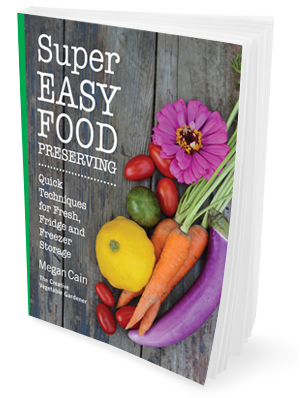 Discover how easy food preserving can be with this FREE video series filmed in my garden and kitchen. Do Your Days All Start to Feel the Same? This weekend I will be participating in my annual apple sauce canning! I keep the skins on when cooking the apples down, and blend it before canning to get rid of the lumps the skin creates….I just can’t bring myself to throw the skin away-even in compost. I love using it all year round in baking to substitute sugar and oil! Heather- I like the idea of keeping the skins on. I think I’ll try that sometime! I make apple sauce and apple butter each year. I take only the cores out and cook the apples down. Using an immersion blender to break down to the constancy you wish to have for each product. If the apples are great you will not need to add sugar to either recipe. I try to keep it all natural and healthy. It seems to work because everyone requests jars of each item. Easy and the house smells wonderful! There’s nothing quite like homemade applesauce, Sam! Sounds like yours is delicious. i planted a late crop of arugula so I am making a little arugula pesto to freeze. And I am drying hot lemon peppers to crush and sprinkle on pizza. They give off vapors while they dry that make you catch your breath! That sounds so great! 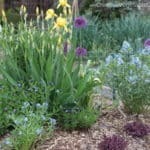 I plant arugula for a fall crop as well, I find it grows much better than in the spring. Hi S- That sounds like a great way to spend a rainy afternoon! I took a look at your blog – you have some fun stories on there. 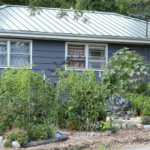 Let me know if you ever want to have a garden blogger meet-up in Madison. Do you have a favorite pesto recipe for freezing? Kara- I use the recipe in the original Moosewood Cookbook (brown cover). I looked to see if it’s printed online but it’s not. This one is pretty close, just slightly different proportions. 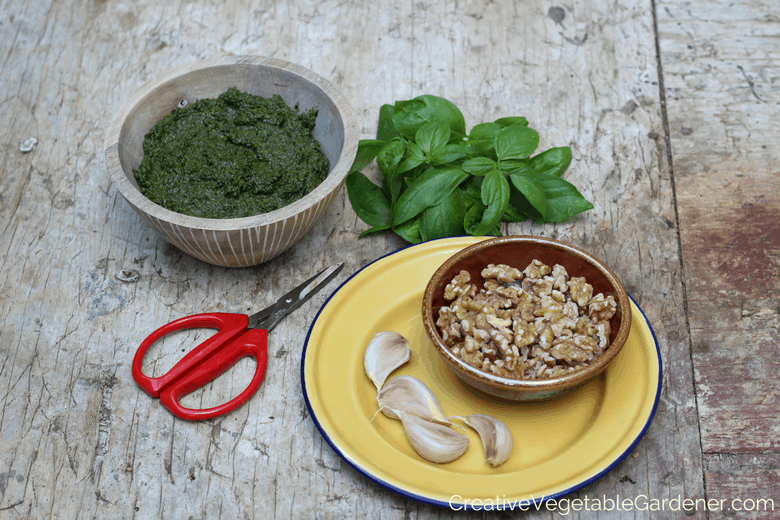 http://www.thekitchn.com/how-to-make-perfect-pesto-every-time-175471 I use walnuts instead of pine nuts. Have fun! 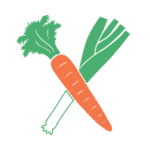 Discover how easy food preserving can be with this free video series.